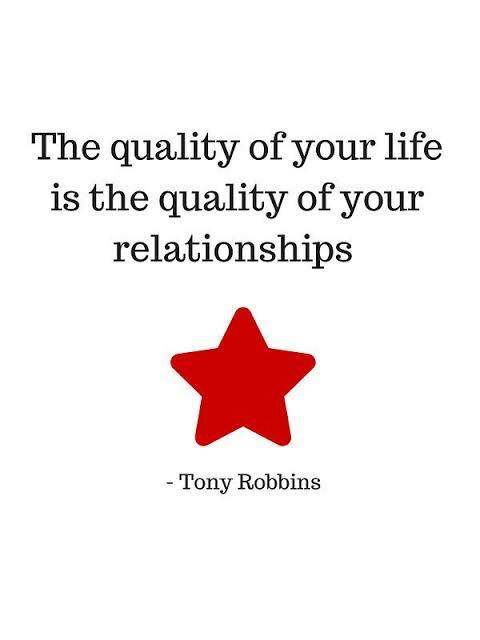 This is one of my favorite quotes of American author and philanthropist Tony Robbins. The kind of relationship we share with our family and friends is everything. If you have great relationships than there is nothing in this world that can discourage you or defeat you. But if most of your relationships are superficial than everything, ‘no matter how successful you are’, will seem shallow. Always prefer quality over quantity, that’s the best gift you can give to yourself. We get so much absorbed in our own miseries that we pay no attention to people who are important for us. Take Time to show Love to your dear ones and how thankful you are because they are part of your existence. Just do it and you will see magic happen. Loved visiting your blog, dear Aditi. Really very captivating thoughts. Simple words but with a shining bright soul. I would like to invite you to visit my blog. And also, would like to request you to follow back if you like my work.